After Pantone named rose quartz (pale pink) and serenity (light blue) their ‘colours of 2016’, earlier this year, pastels have taken off in a big way in the interior design world. Accessories are a great way to add this trend to the home in a non-permanent way. Combine a couple of pastel tones like soft pink, blue and mint green or select one accent colour and pair with neutrals. 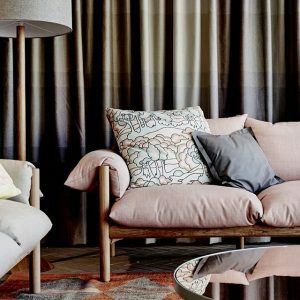 The soft pink and grey combo is a very on-trend at the moment and works particularly well in a Scandinavian aesthetic. Start by layering neutral colours like light grey, white, charcoal, black and navy and add pops of pastel through accent decor.  Think vases and vessels, cushions and throws and artwork. 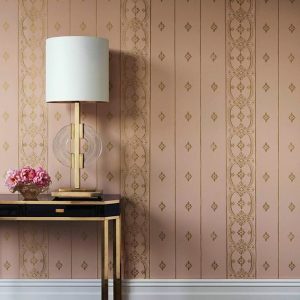 A more permanent approach – pastel wallpaper can make a great feature in a room. 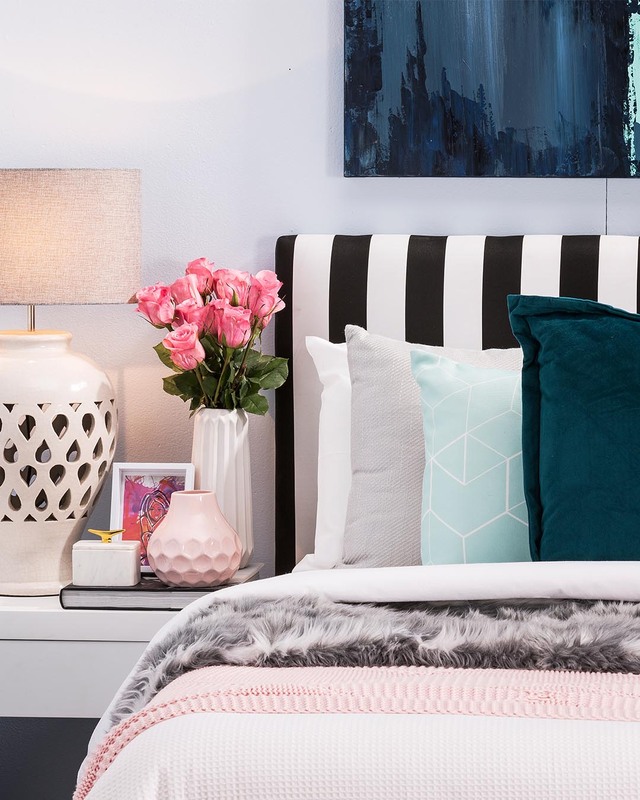 Carry the colour through the room with other pastel accents like accessories and soft furnishings. Incorporate complementary tones for visual balance think deep blues with light blue or hot pink with baby pink and emerald green with mint green. Metallic accents also work well with pastels especially through accessories and feature lighting – think silver, gold, rose gold and brass. To add a pastel hit to your home’s overall style try the addition a feature piece of furniture. An occasional chair or ottoman is a great option; consider having an existing piece of furniture reupholstered in a pastel fabric of your choice. A statement sofa can make a big impact in a room. 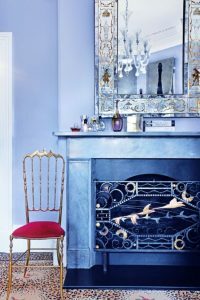 Or try mixing and matching a rainbow of pastel toned dining chairs around a white or light wood dining table – combine yellow, mint, light blue, lavender and pale pink. Pastel wall paint can bring a room to life and is a unique way to add colour to the home. For a less feminine look go for lavender, mint green or soft blue and add interesting patterns and bold accent colours into the mix. This room incorporates a pop of red and intricate patterned floors and accessories, giving it an eclectic, edgy feel. Vault Interiors are property stylists in Sydney, in the business of creating higher value spaces through vibrant and edgy design. Our home staging experts specialise in unlocking the potential in your home and helping you increase its value through presentation, functionality and appeal when putting your home on the market. 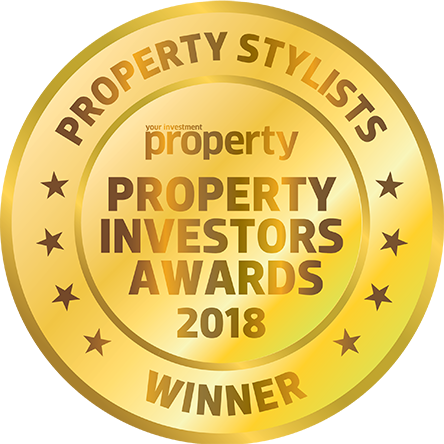 Contact us today to get a quote from one of our property stylists.